What do you get when you combine the creator of Lost Laurel, the “History Matters” columnist from the Laurel Leader, and the owner of the largest private collection of historical Laurel memorabilia? A trio of hyper-local history buffs eager to find and share the stories you don’t always discover in the newspapers and museums. 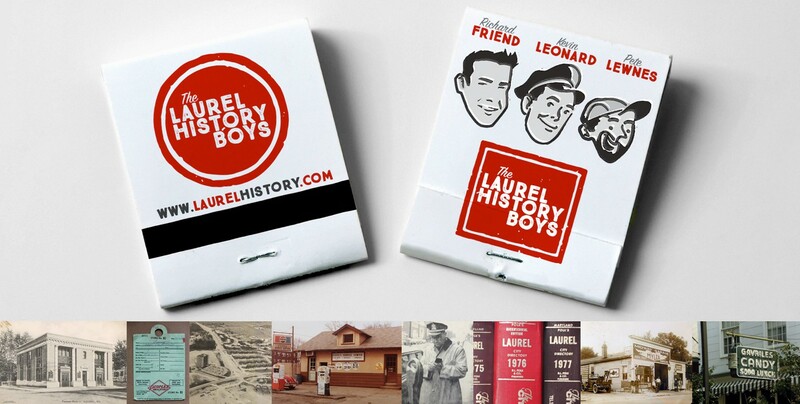 Meet Richard Friend, Kevin Leonard, and Pete Lewnes—the Laurel History Boys. Keep up to date with their latest findings via their personal pages below! Meet Rich, Kevin, and Pete and learn more about this project. Read more. Do you have a story to share about Laurel history? Do you have any vintage Laurel photos or artifacts you’d like us to feature? We want to hear from you! Contact us. Anytime the boys meet up for a bite at Laurel’s legendary Tastee Diner, the talk always turns to history. To find out about our latest happenings, check out the blog.